For young writers of a certain temperament—if they haven’t had such notions beaten out of them by MFA programs and the Internet—the delusion persists that great writing must be sought in what W. B. Yeats once called the “foul rag and bone shop of the heart.” That’s where Peter Cunningham has been looking for inspiration for his novel—that is, when he isn’t teaching at the local women’s prison, walking his dog, getting high, and wondering whether it’s time to tie the knot with his college girlfriend, a medical student whose night shifts have become a standing rebuke to his own lack of direction. When Peter meets Leslie, a sexual adventurer taking a break from her fiancé, he gets a glimpse of what he wishes and imagines himself to be: a writer of talent and nerve. Her rag-and-bone shop may be as squalid as his own, but at least she knows her way around the shelves. Over the course of a Virginia summer, their charged, increasingly intimate friendship opens the door to difficult questions about love and literary ambition. 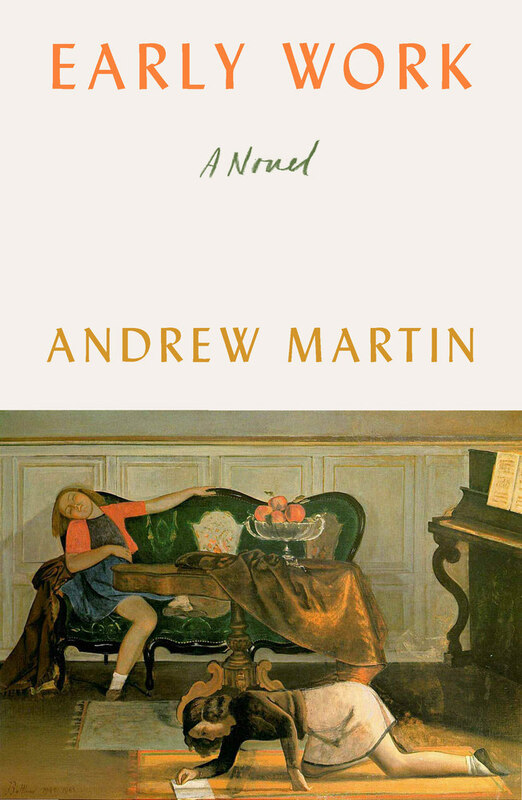 With a keen irony reminiscent of Sam Lipsyte or Lorrie Moore, and a romantic streak as wide as Roberto Bolaño’s, Andrew Martin’s Early Work marks the debut of a writer as funny and attentive as any novelist of his generation.